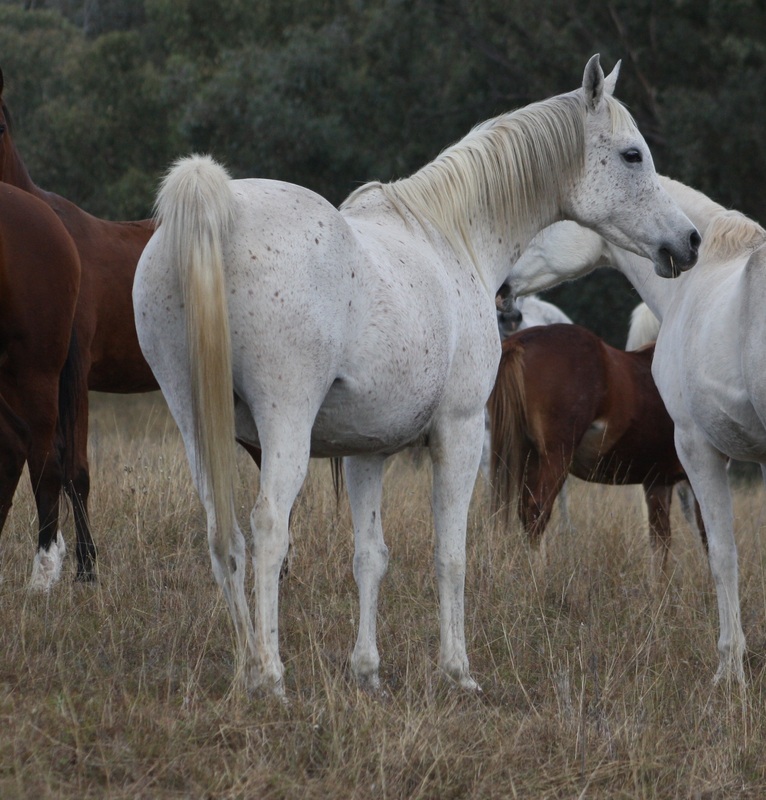 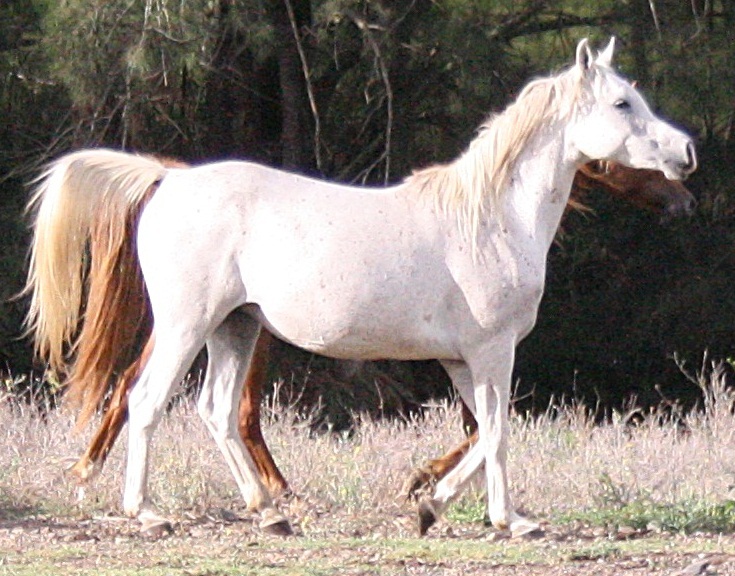 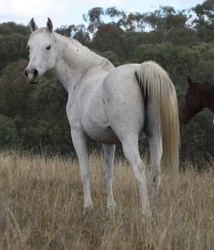 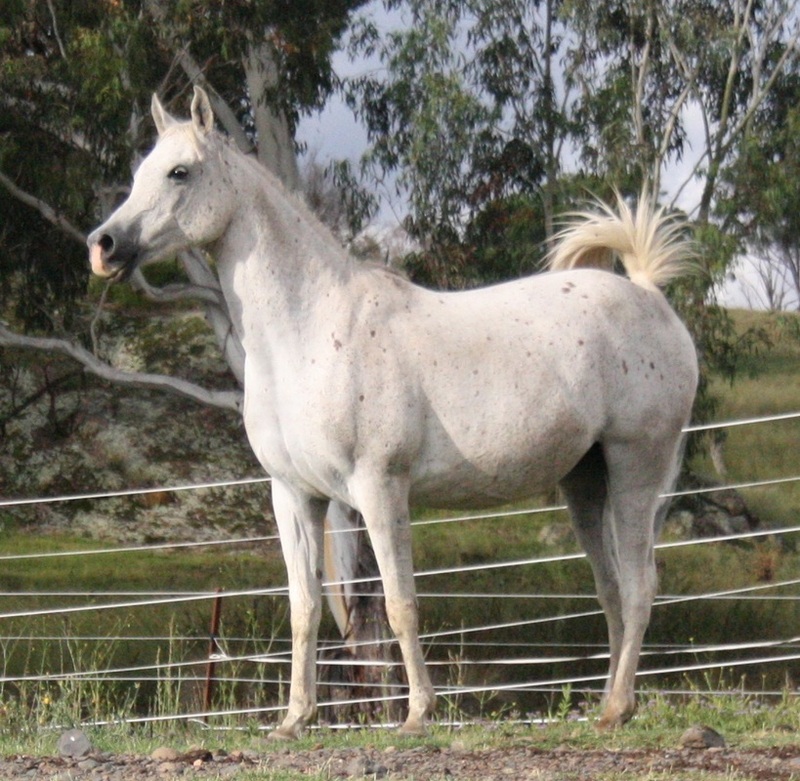 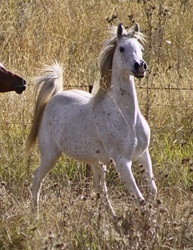 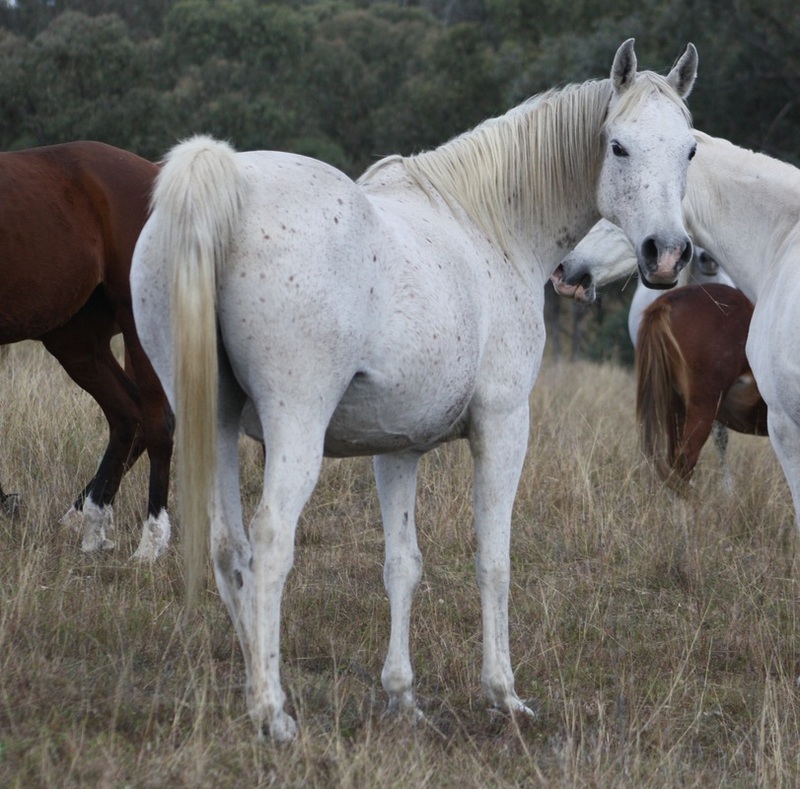 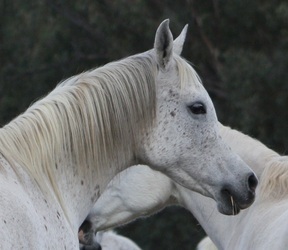 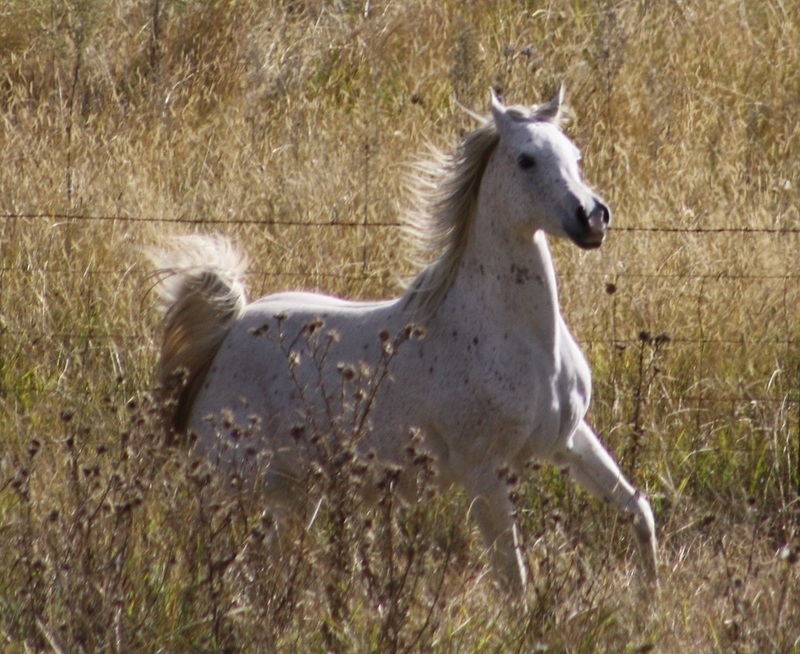 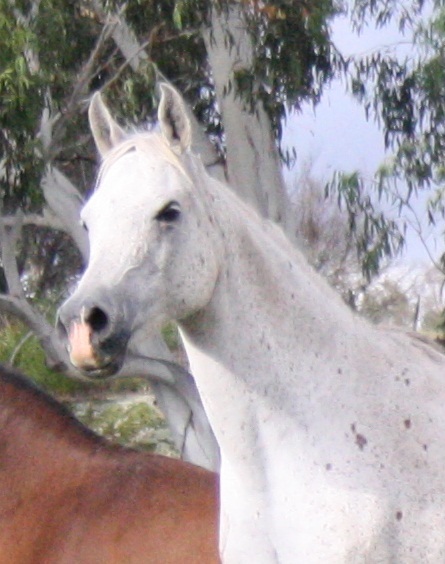 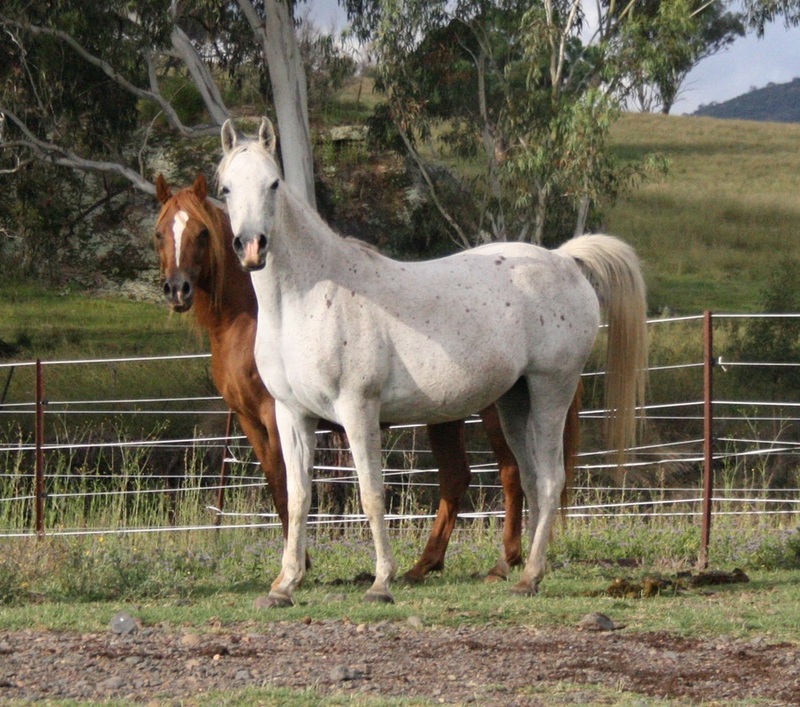 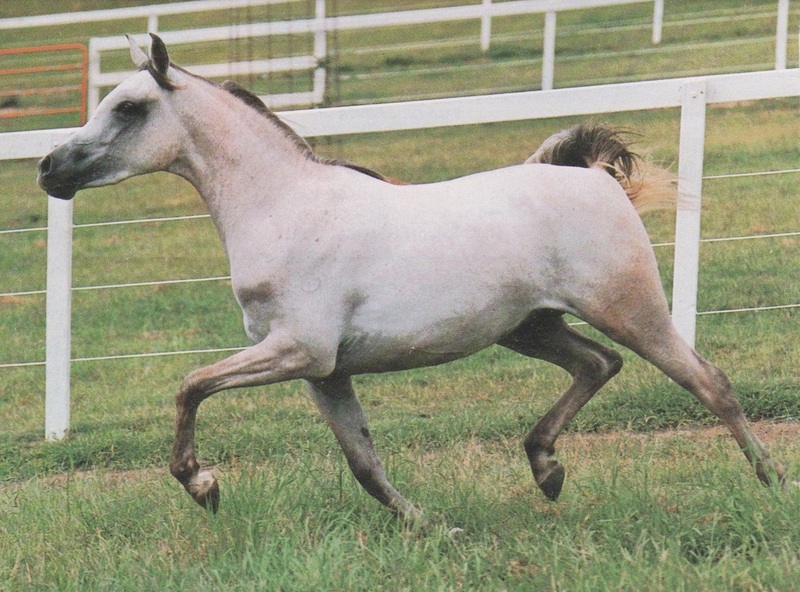 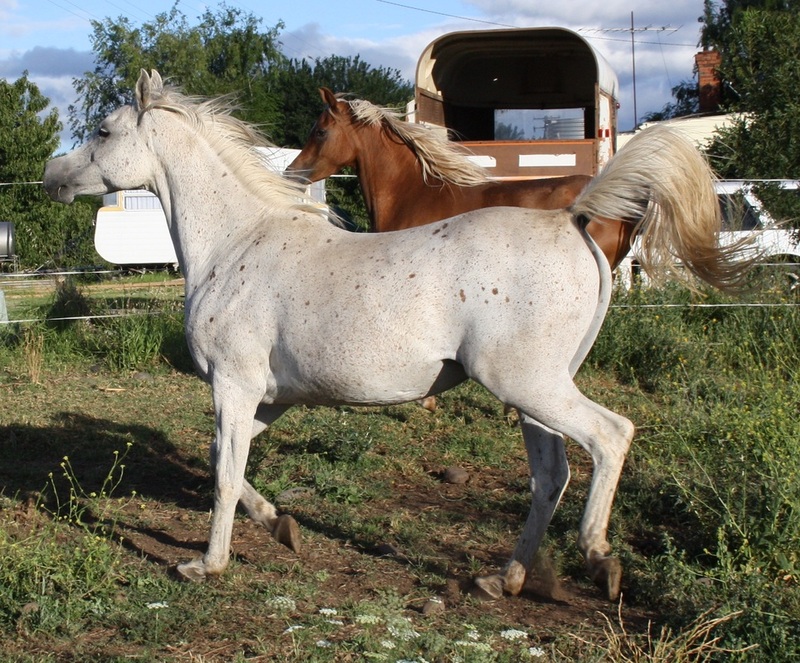 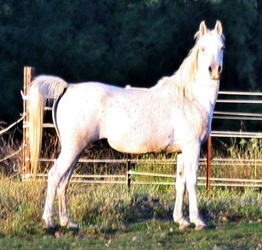 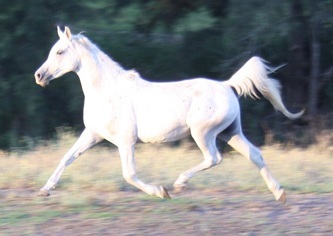 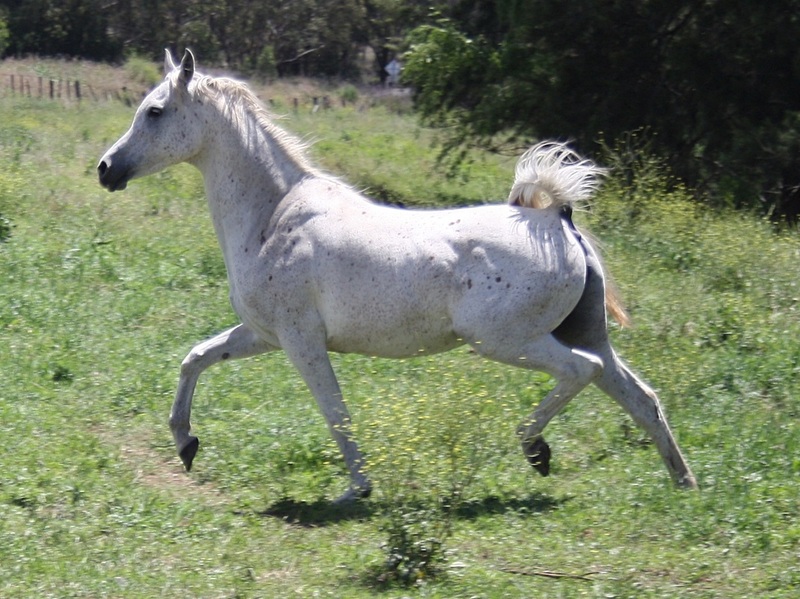 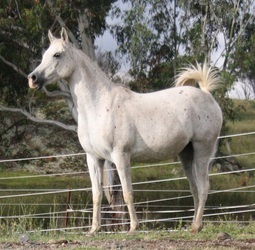 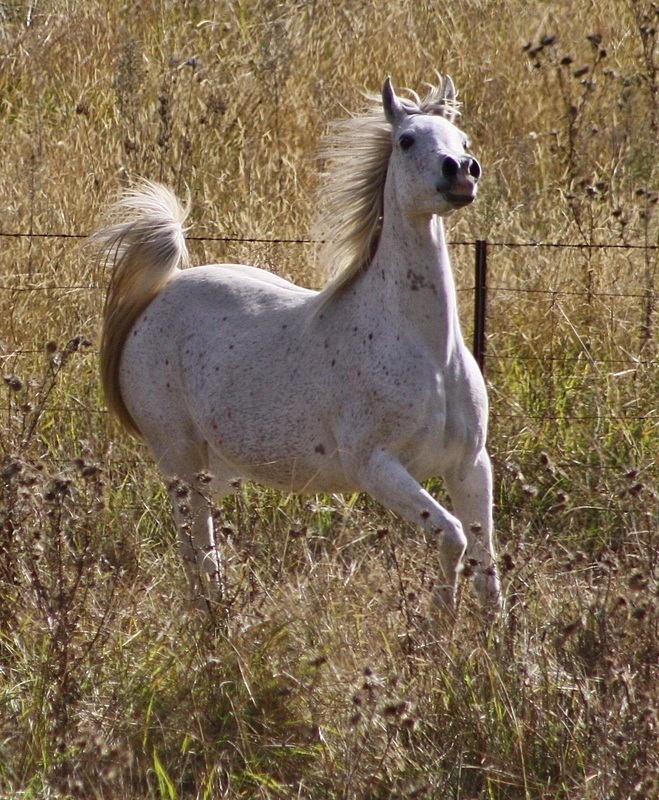 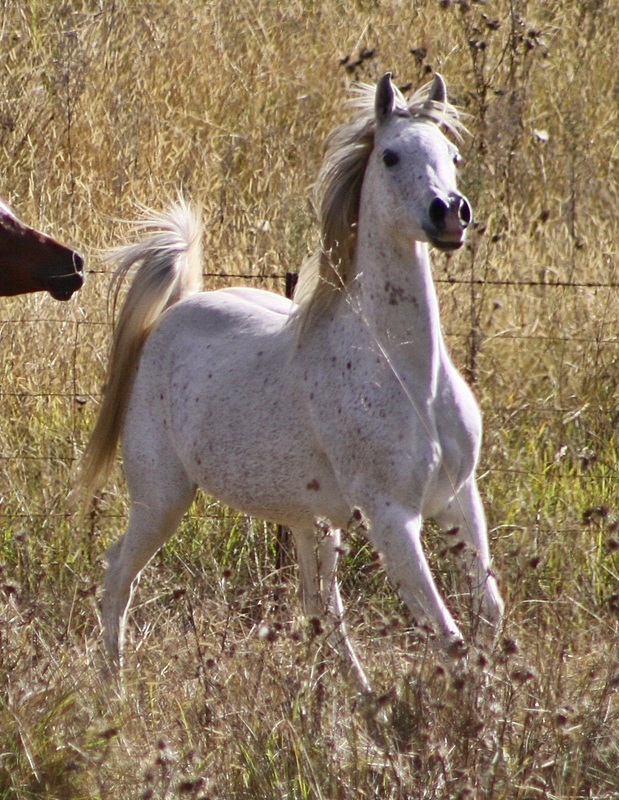 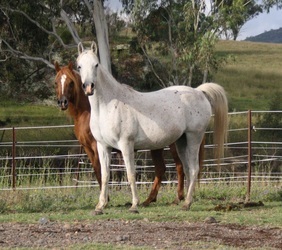 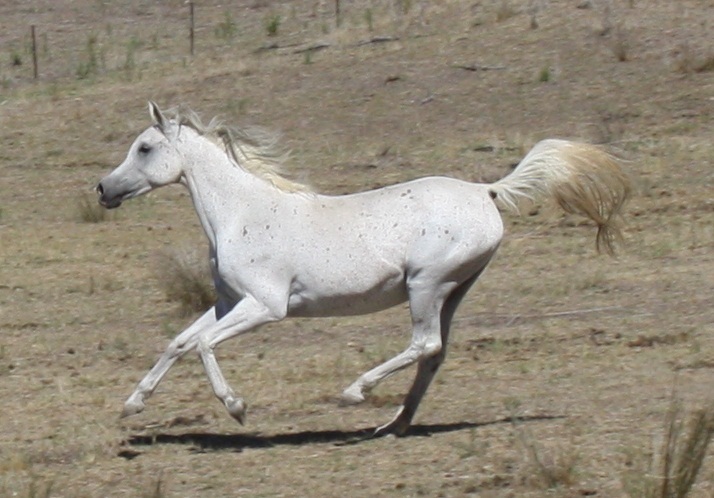 Exotic and beautiful, Naadja is the epitome of the true desert arabian mare. Her head is breathtaking, but it is very hard to capture on film just how extreme it really is! 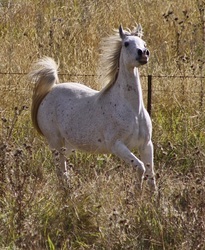 She is beautifully conformed and is also blessed with outstanding movement. 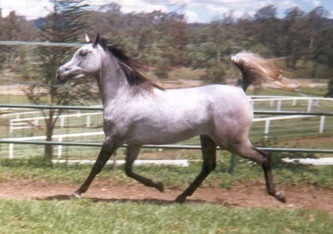 She is linebred to the famous and beautiful Aswan daughter, Naadirah* and her equally famous daughter, Nara* by Hadban Enzahi. She is the dam of our treasured stallion, Salam Dark Image by WP Ibn Bayang (dec).